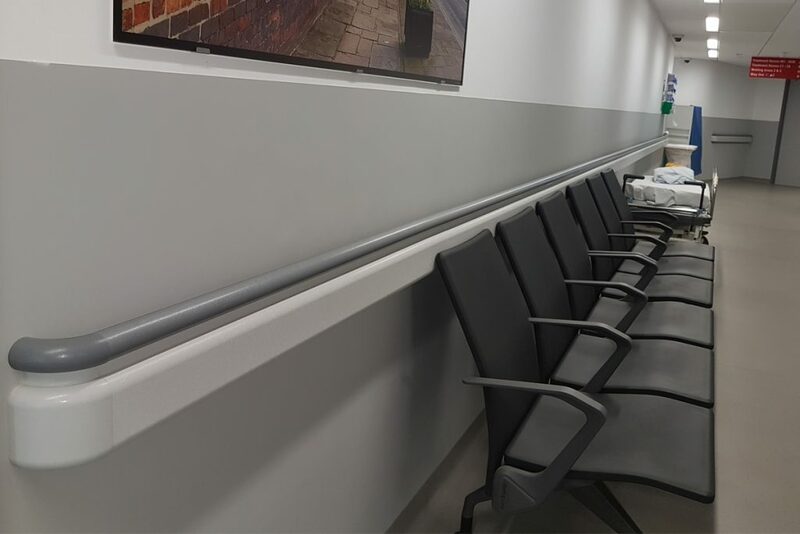 With a collaborative approach from the inception of the project through to completion, the Trust was mindful that the new emergency department operating 24 hours a day would require careful thought and consideration with regards to the finishes selected. With leading healthcare architects IBI plans were drafted with full engagement with the clinical teams to develop an extremely well-considered and effective design – fit for purpose. Wythenshawe Hospital is a major acute teaching hospital part of the Manchester University NHS Foundation Trust (MFT). Its area of specialisms includes cardiology and cardiothoracic surgery, heart and lung transplants as well as cancer and breast care services and supports patients from across the North West and beyond. During the upgrade of the Emergency Department (E.D) the team decided on both protection and preventative measures to ensure only the highest of standards were adhered to which were in line with the Hospital’s renowned reputation. 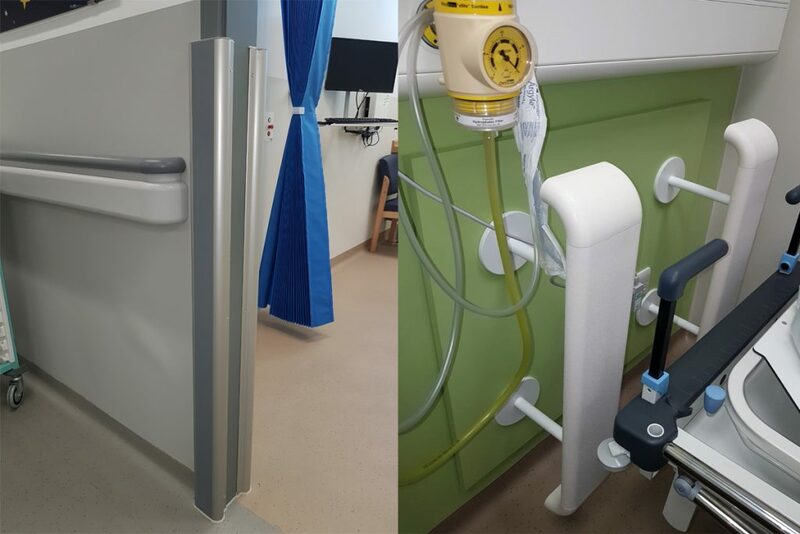 Intastop Ltd was chosen to supply and fit a range of protective products designed specifically to integrate seamlessly with the hospital aesthetics. They included Bed Head Protection, Hand Rails, Sanparrel Wall Sheet, Corner Guards, I-Gienic Smooth Hygienic Sheet and Rigid Frame Guards. Impact protection sheet along with the other products installed at Wythenshawe Hospital boast a plethora of benefits including high impact resistance, Class ‘O’ Fire Rated; tested to BS476 Parts 6 & 7 and available in a variety of colours. Wall protection ensures staff and patient safety in the event of a fire by maintaining fire integrity of the surface. Protects the surfaces against localised damage. Maintains a clean, safe environment. The wall protection achieves colour contrast for critical surfaces to assist with visually impaired staff and patients. Thank you for downloading this item. Please enter a valid email address to view the file. Please tick this box if you do not wish to receive updates from Intastop.